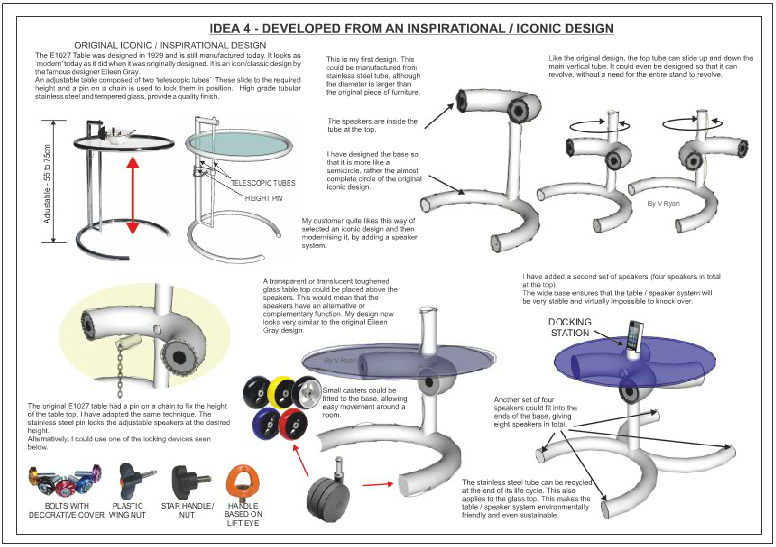 One good way of designing a new product, is to select a recognised iconic or well known design. Alternatively, you could select a design that inspires you. Then, redesign or develop it further, to incorporate new functions and features. The E1027 Table was designed in 1929 and is still manufactured today. It looks as ‘modern’ today as it did when it was originally designed. It is another Eileen Gray piece of furniture, that has become a design icon/classic. Although originally designed with her sisters love for of eating in bed in mind, it is equally suitable in a lounge, hallway, sitting room and office. The design of this simple MP3 station, was inspired by the Eileen Gray E1027 table. Stainless steel tube could be ‘rolled’ to form the basic shape. The design was developed further (see below). 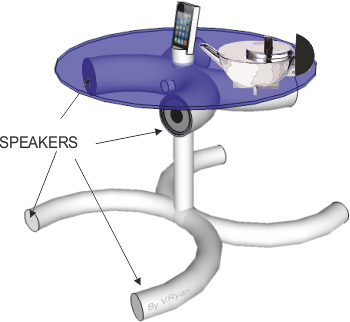 The original table could be redesigned with the central feature being an MP3 docking station. The design opposite shows the updated version. It still clearly exhibits features and functions from the original design (see the full development of the design on the next page). The table can be used as it was originally intended by Eileen Gray, plus the MP3 station function is included. The table now has a docking station and eight speakers, providing quality sound. Study the Eileen Gray table and the modern version / new design. 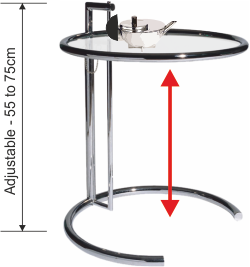 There are clear similarities, such as the use of chromed steel tube and the overall style. There is a clear connection between the two designs. 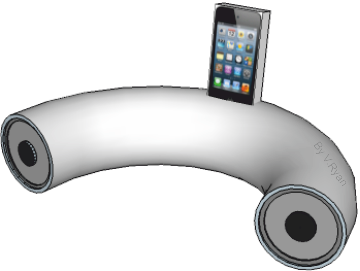 However, there are differences, including the docking station and the symmetrical use of rolled tube.